Today I went to Braves camp. I had almost convinced myself to skip this camp this year, as I always have a miserable time, and the quality of the graphs is almost never enough to make it worth it. I probably should have skipped it, and will almost certainly do so next year. The main thing that bothers me about Braves camp is the fact that you are guaranteed to miss guys, due to the setup of the facility. Do you stand by the cages, by the back fields, or down the first base line? Today, I missed Julio Teheran, Michael Bourne, Mike Minor, Brian McCann, and Jair Jurrjens. All because I picked the wrong spot. The one time I picked the right spot, I got Jason Heyward. He signed a ton through the gate between home plate and the first base dugout. I got 2 cards signed, but I could have gotten more if I could have reached my duffel, which was sitting on a seat about 5 feet away. Unfortunately, once he started signing, there were about 396 people crammed into that 5 feet. I got a strange bit of deja vu from my encounter with Greg Walker. 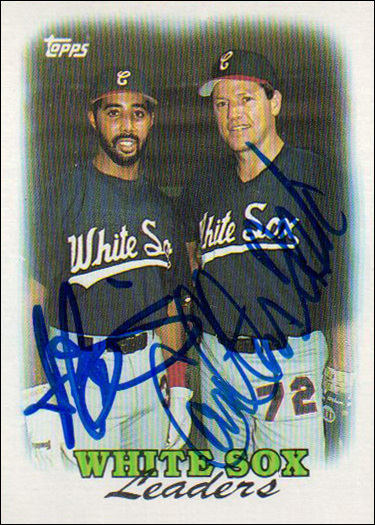 Last year at White Sox camp, I asked Greg Walker to sign about 50 times, and he always said he would sign later. Finally on my 5th and final day, he started to respond with the same "I'll get you later". But then he looked up at me, and recognized me as the guy that had been asking him over and over. He jumped out of his golf cart and said something like "I'll sign for you, I've been putting you off all week.". He then signed for me, and then got back in his golf cart and left without signing for anybody else. Today, I asked Greg to sign as soon as he got to the batting cage area. He said he would sign later. I thanked him, and blurted out "I'm a huge White Sox fan!". About an hour later, he started to head back towards the stadium. I called out to him, and he looked up at me and recognized me again. He came over to me, and while he was walking he addressed the crowd, saying "I've got stuff to do, I'm only gonna sign for this guy right now". Sure enough, he signed 4 cards for me and left without signing for anybody else. Anyway, on to the mediocre totals! Today I attended my first ever workout in Jupiter. I was there for the Marlins. More specifically, I was there for Mark Buehrle, Ozzie Guillen, Aaron Rowand, and Joey Cora. Unfortunately, I would end up pretty disappointed on that score. I got to the Marlins parking lot at 7am, and there were already quite a few graphers there. I staked out a place along the fence, and waited. We saw most of the big names come in, but the only one that signed was Josh Johnson. Mark Buehrle parked in the very back of the parking lot, and went the long way around to avoid us. Ozzie Guillen and Mike Stanton went into a fenced area in the stadium, and had somebody drive their cars over to the parking lot. 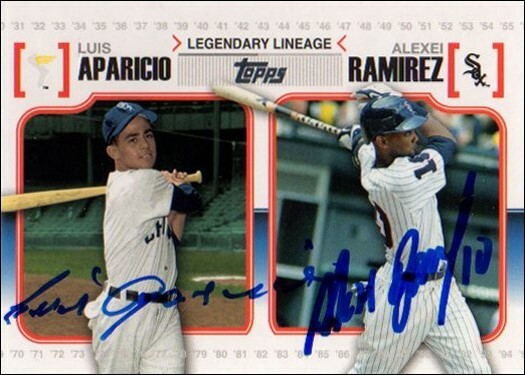 Jose Reyes and Carlos Zambrano both said they would sign later. Only one of them was true to their word. Inside, things were apparently a lot different than they usual are at a Marlins ST workout. They stretched on the field closest to the stadium, and then jogged out to the fields for the drills. They usually walk out to the fields to stretch, and you could get quite a few of the players while they walked. Nobody signed on the way to the fields today. I spent most of the day shadowing Mark Buehrle. He kept saying he couldn't sign, and that he would sign later. Later never came. Ozzie pretty much ignored everybody. I was able to get Joey Cora (big shock!) and Aaron Rowand. Mike Stanton only signed a few, and Jose Reyes signed for just about everybody. I didn't stay very long in the parking lot after the workout. Once Buehrle snuck out, I left. Today was the day that chisoxcollector reported to spring training. I spent the day at Nats camp, though I had to leave a bit earlier than I would have liked for a doctors appointment. I got to the parking lot at approximately 6:45am. There was one other guy there, and we remained the only two there for close to an hour. During that time, the only big name to arrive was Jayson Werth. To my surprise, he actually signed! He signed a ball (SS) for the other guy, and two cards for me. The only notable person to arrive during that time was Davey Johnson. He didn't sign, saying "I might get in trouble". I wanted to say "But you're the manager!". Gio Gonzalez, Chien-Ming Wang, Tyler Clippard, and Mark DeRosa were some other notable players that signed in the parking lot in the morning. During the workout, the position players went out to the field just outside of the stadium, and the pitchers went to the practice fields. I went with the pitchers, as Edwin Jackson was my main objective. He was one of the first pitchers to come out. He was very cool, and signed 4 cards for me. I also had a 16x20 and 10x20 that I wanted him to sign, but I didn't want to carry it with me while I was walking, as I was afraid of them getting bent. I also got Brad Lidge, Jordan Zimmermann, and a few others as they walked to the practice fields. I think good old Stephen Strasburg was the only person that refused to sign. Once I got to the practice fields, I decided to get in line to try to get Strasburg. I was in line for about 1.5 hours when the pitchers finished their workout. When Strasburg left the field, he walked right past the line of people waiting for him. He got about 25 feet away, and then turned around and started signing for those that followed him. I was one of the first people that got to Strasburg. During the entire time he signed, I was standing right in front of him. He repeatedly went out of his way to reach around me and take other people's items. At one point, he took an item from a guy that didn't have a pen. I volunteered my pen, and Strasburg took it. After signing the guy's item, he handed my pen back, still refusing to sign for me. After signing about 15-20 autographs, he announced he was done. I asked him why he blatantly avoided signing for me, and his response was "Well, I can't sign for everybody". That obviously didn't answer my question. I really wanted to tell him what I think of him as a person (I think he one of the two biggest assholes I've ever attempted to graph), but I didn't want to be "that guy" that "ruined it for everybody". After getting stiffed by Strasburg, I noticed Edwin Jackson had just started making his way out of the practice facility and towards the stadium. I ran to my car and grabbed the two large photos. He signed them both for me, giving a particularly beautiful signature on the 16x20. Stephen Strasburg could learn a thing or two from Edwin Jackson. After that I head back to the parking lot, hoping to get Bryce Harper. Unfortunately, I had to leave at 1:30, and he hadn't left by then. I'm sure I'll find out that he left at 1:32 and signed for everybody. 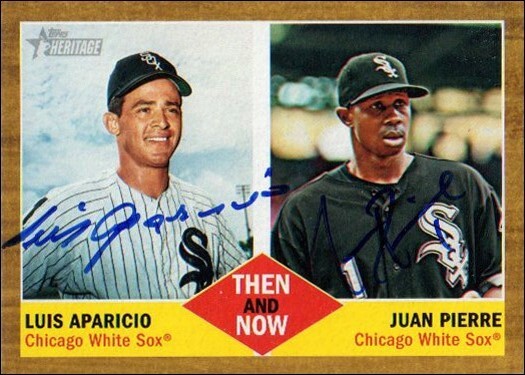 All in all it wasn't a bad day, as I got all 3 of the former Sox that were my targets (Jackson, Gonzalez, Teahen). I have finally completed my first signed Upper Deck team set. Josh Fields was the last guy I needed to complete the 2010 set, and I found one on eBay a few weeks ago. I just received my latest batch of items from my framer. I got my Daniel Radcliffe stuff from NYC framed, as well as a few Sox items.